Here at Daily Theology, we wanted to give some of our “quick takes” after an initial read of Amoris Laetitia, Pope Francis’s Apostolic Exhortation “On Love in the Family.” The Pope himself says at the outset that he “does not recommend a rushed reading of the text” (7), so take all that we have to say with a dose of salt. I want to focus here less on the particular moral or doctrinal questions related to the family, and more on the data this exhortation provides regarding how Pope Francis thinks of the church, its teaching offices, and our role therein as theologians and as baptized Christians. It might be because I just brought a group of students to Rome, but the image that comes to mind to speak about the ecclesiological framework of this exhortation comes from Raphael’s famous fresco in the Vatican palace, The School of Athens. It’s a strange choice for a letter on the family, I know, but let me explain. 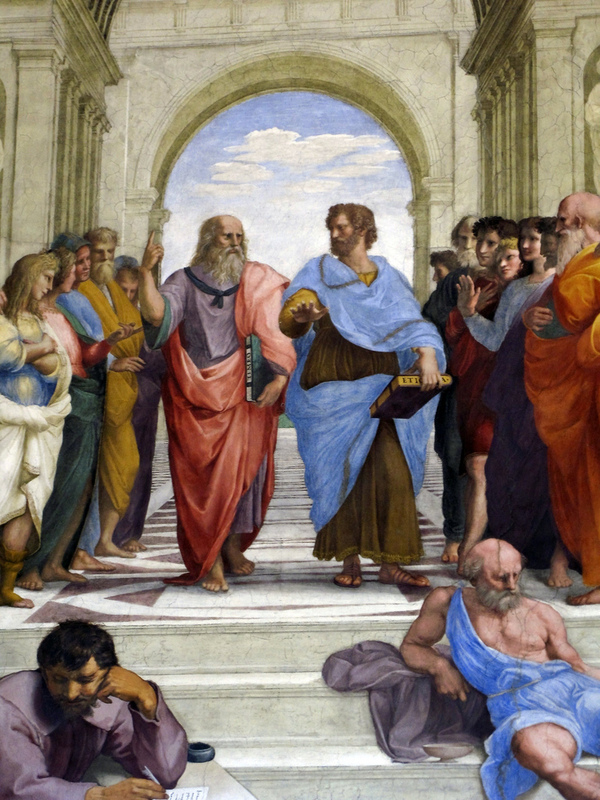 At the center of the painting, Plato is depicted pointing heavenward, to the world of the forms and of the abstract, while Aristotle holds his hand horizontally, drawing attention to the concrete and to the particular. To state so clearly, as he does elsewhere in the text, the need for local solutions to local issues, and the limitations of the papal teaching office with regard to the concrete, is a remarkable reimagination of magisterial teaching authority. And not only of the limitations of papal magisterium: “We have been called to form consciences, not to replace them,” he writes (37). Second, Francis backs up his words with practice, in two ways. In his past two major texts, it’s always been worth the time to analyze Pope Francis’s footnotes, and he doesn’t disappoint today. First, in pointing the church towards the concrete and the local, he continues the practice of Evangelii Gaudium and Laudato ‘Si of extensively drawing upon the texts of national and regional bishops’ conferences, lifting up the teachings of his fellow bishops (from Korea, Mexico, Argentina, Colombia, Chile, Australia, Italy, Kenya, and Latin America as a whole) in the body of the text. But most striking to me in this document is the extensive citation of the Final Reports from the 2014 and 2015 meetings of the Synod of Bishops. The genre of the “Apostolic Exhortation” began in response to the earliest meetings of the Synod of Bishops after the Second Vatican Council, in a way that frankly limited the independent teaching authority of the Synod — rather than issue their own document, they submitted a final report to the pope, and in 1975, with Evangelii Nuntiandi, Pope Paul VI began the precedent of issuing an Apostolic Exhortation that drew upon the final report(s) of the Synod of Bishops in addressing the topic they had studied. In composing their message, the popes had the freedom to use the materials from the reports as they saw fit, and the outcomes ranged from documents attentive to the work of the synod to, unfortunately, exhortations that took the synodal reports simply as a set of “suggested topics” which the pope then discussed entirely in his own voice and with his own preferences. In this exhortation, even more than in Evangelii Gaudium, Pope Francis makes the final reports of the synod the primary voice in many sections of text, drawing more extensively on the final reports than in any previous exhortation I have seen (Further research might help to confirm this). In some places, including in some of the more “controversial” sections that will be the focus of today’s media #Laetitiageddon, full paragraphs are direct quotations from the reports of the bishops. In this way, Francis is putting into practice some of the decentralization of magisterial authority he calls for in the text, but in a different way: by strengthening the ordinary teaching authority of the synod in making it a primary voice in the text. This is particularly the case in issues where the pope as an individual might have wanted to move further, say, with regard to the pastoral care of the divorced and remarried, than the synod wanted to go — what one can see here is a pope exercising Petrine ministry by lowering his own voice in order to raise the voices of the bishops of the world, in synod and in other organs of collegiality like the bishops’ conferences. And in doing so, he’s leading the church from Plato’s ideal form and a one-size-fits-all form of magisterial teaching, to an attention to the concrete and close collaboration among those working on the ground in local churches throughout the world. The pope’s inductive approach is visible in the many sources that he draws upon. 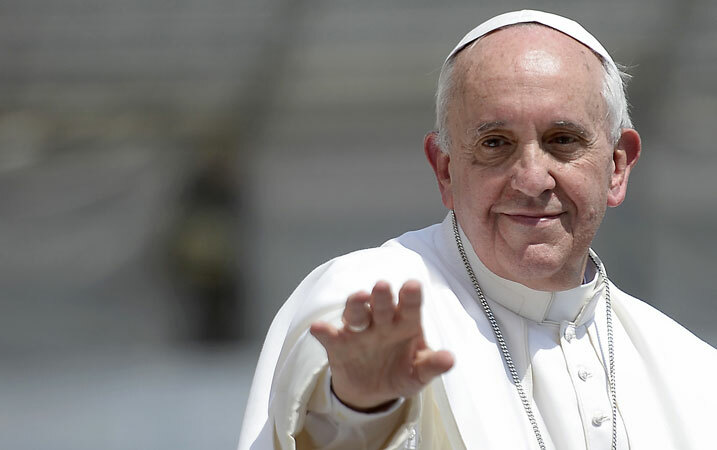 Like “Laudato Si’,” “Amoris Laetitia” departs from traditional papal teaching, which generally only referenced the Bible, magisterial documents and the teachings of saints. In dialogue with these doctrinal sources, Francis develops a pastoral theology of family life that explicitly draws from some surprising sources. For me, however, the most surprising references in this text are those to non-Catholic sources. In No. 129 he references a scene from the “film Babette’s Feast, when the generous cook receives a grateful hug” as an example of the need to cultivate and share love. In No. 149, Francis references the “teachings of some Eastern masters who urge us to expand our consciousness.” Several times, he draws from the work of poets and writers from the last century, including Jorge Luis Borges, Octavio Paz, Antonin-Gilbert Sertillanges, O.P., Gabriel Marcel and Mario Benedetti. By engaging the experiences and wisdom of sources beyond the traditional reference points of Scripture, popes and saints, Francis models in “Amoris Laetitia” the type of listening and discerning church that he believes can address many of the problems facing the family today.